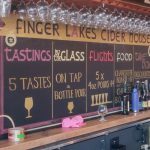 The Finger Lakes Region in New York is famous for first-class wine, beautiful scenery, and college towns. It’s also developing an excellent reputation for artisanal hard cider and craft beer. 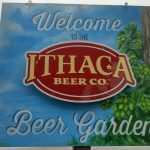 Based in the university town of Ithaca, we were visiting for a few days of beverage tourism, fall foliage, and friends. 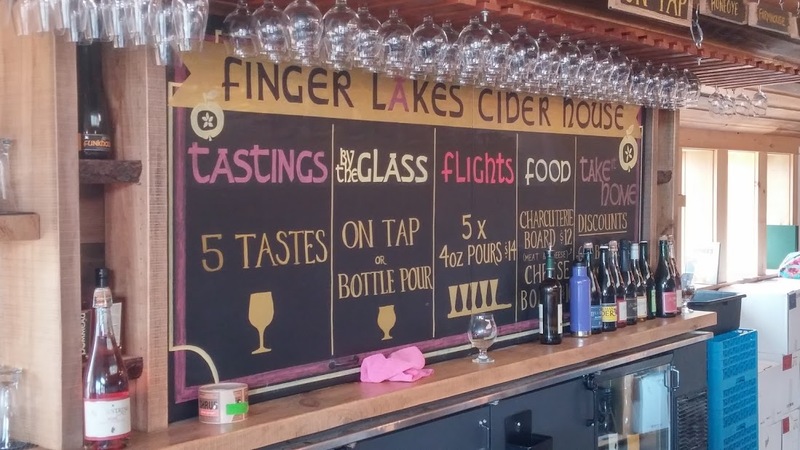 The finger lakes, in the center of the state, have a unique microclimate – great for Riesling and other cold-weather wine grapes – that has spawned a critical mass of over 100 wineries. 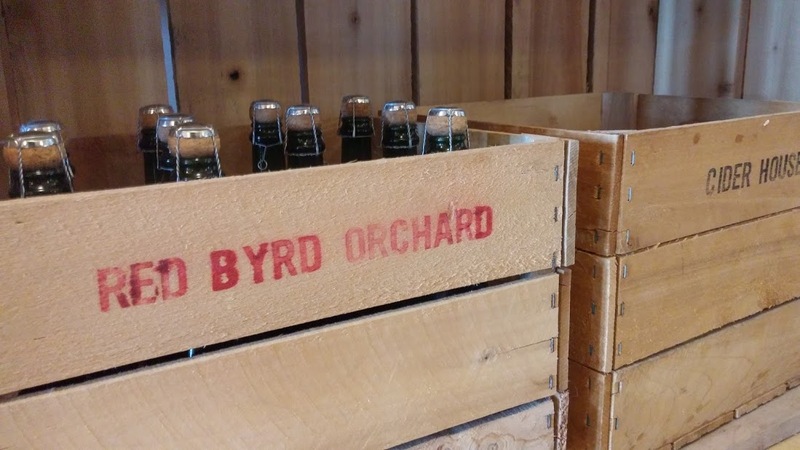 Apples, grown here for generations, are now being fermented into hard cider. 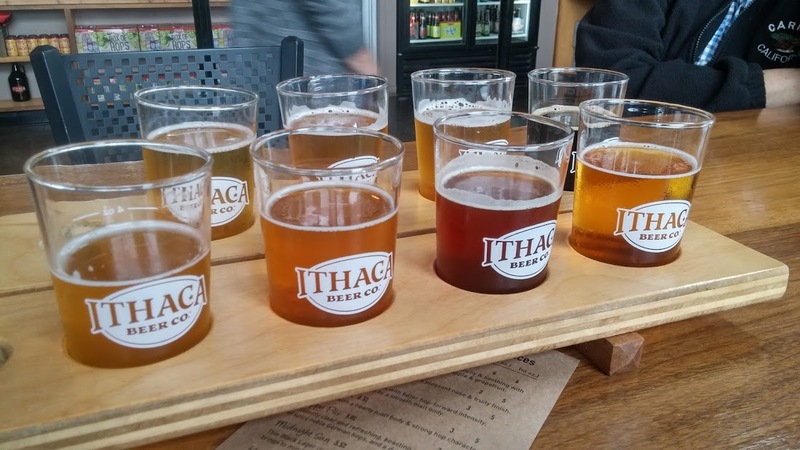 Beer, that most collegiate of drinks, is brewed right in town, readily available to the students. 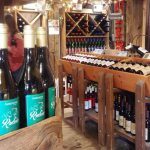 Our tasting began with a late morning drive up the western side of Lake Cayuga, climbing past cow barns and corn fields. The fall foliage was a muted heathery mix of yellow, orange and brown, resembling a fine Scottish tweed. The Finger Lakes, looking on the map like the bony fingers of a hand, were carved out by glaciers two million years ago. Their significant size and depth (as much as 600 feet) moderate the temperatures on the steep hillsides creating an unexpected wine-friendly climate in an otherwise cold place. 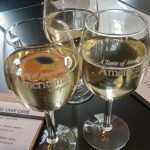 Our first stop was Americana Vineyards in Interlaken. 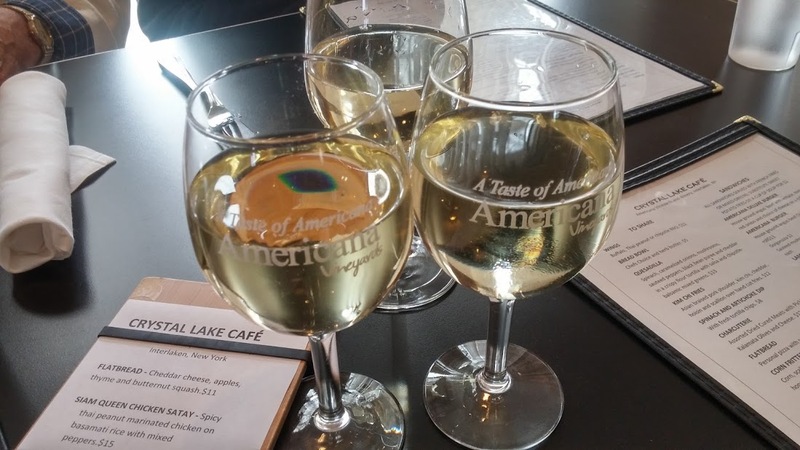 Their Crystal Lake Cafe came highly recommended as did their wines and tasting room. 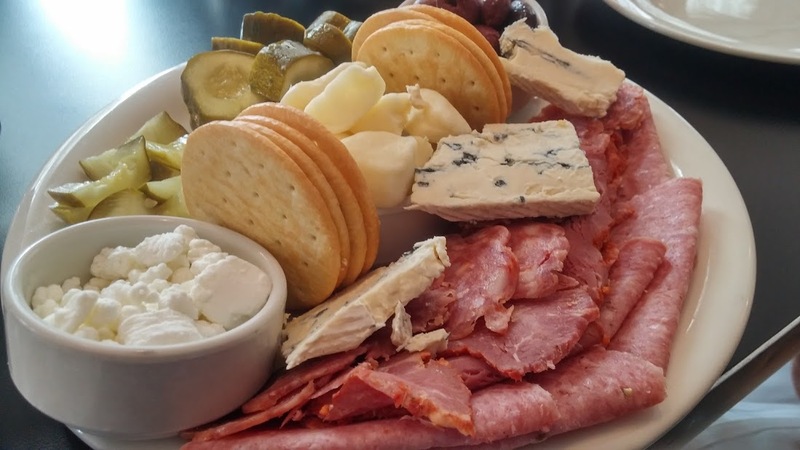 It’s a good idea to start an afternoon of beverage tourism with lunch. Three glasses of Riesling, covering the three wine styles of this world-class grape, got us off to a good start. Ranging from golden to almost clear, the three demonstrated the possible variations of Riesling in the German tradition including dry, medium, and sweet. 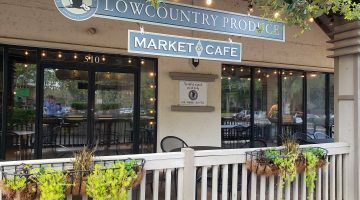 The retro-looking cafe – with red vinyl chairs and chrome-edged tables – had a short menu of wine friendly comfort foods. 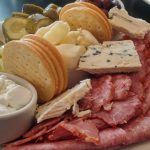 The charcuterie plate with three cured meats, three cheeses, and two pickles had a variety of flavors for wine pairing. Our friends Steve and Kathy went for sandwiches, a grilled three-cheese and tomato and a tangy Cuban, both delicious. 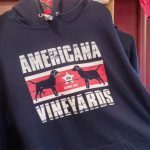 In the tasting room, a weekday crowd of tourists – three-generation families, empty nesters, and young couples – enthusiastically explored Americana’s wide choice of wines. 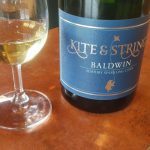 The in-house Kite and String ciders were our faves. 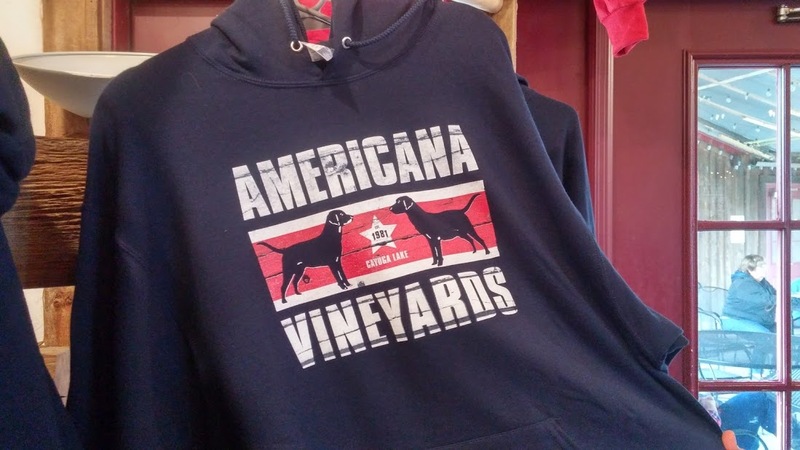 They specialize in single variety ciders that run from bone dry to modestly sweet. 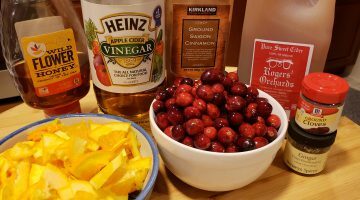 Baldwin, Northern Spy, and Honeoye all expressed the character of the apples with crisp and refreshing flavors. 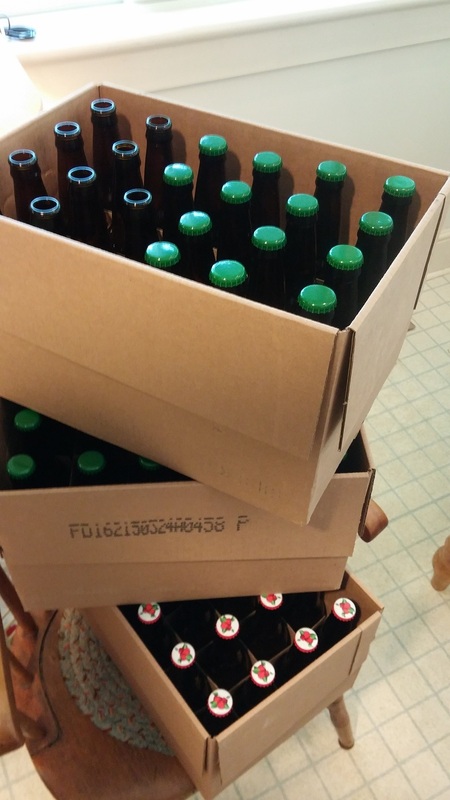 Each bottling was distinctive and fostered a lively discussion of preferences. 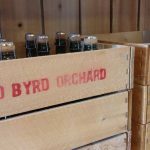 Workman from Redbyrd Orchards was austerely dry and mouthwateringly fresh – a connoisseur’s cider. 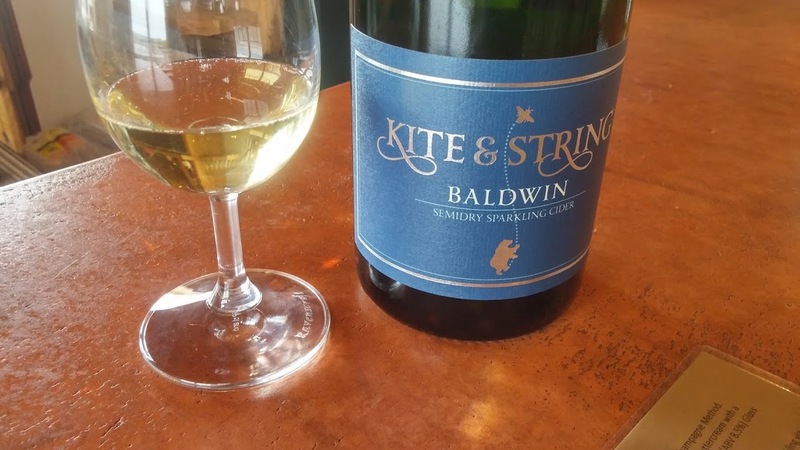 With alcohol levels between 7% and 8% and priced around $16 or $17 (750 btl), the food-friendly ciders are all good values. We loaded up, since these are not available in Connecticut. 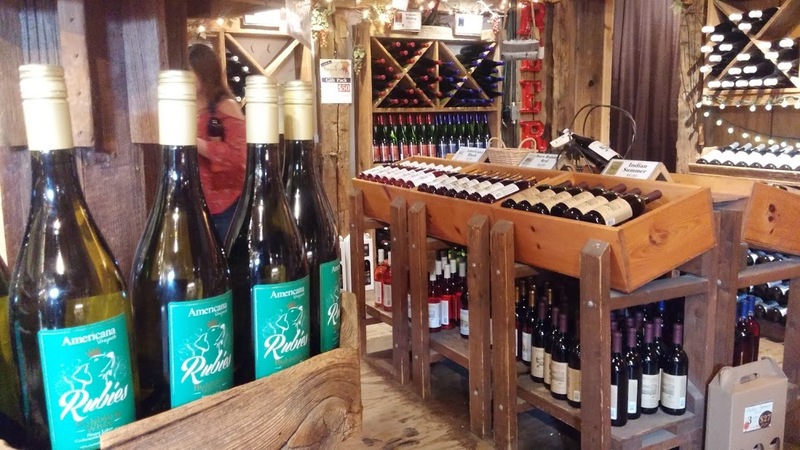 It’s a short drive from Interlaken to Hector and the east bank of Seneca Lake where you’ll find a concentration of some of the best names in Finger Lakes wine: Lamoreaux Landing; Wagner; Standing Stone; Hazlet; and Red Newt. Faced with a daunting bounty of good wine, Steve suggested we skip them this trip and move on to beer. 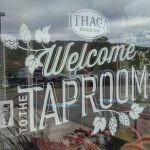 Ithaca Beer is the brainchild of Dan Mitchell, a Cornell student who wondered why a college town like Ithaca didn’t have its own brewery. 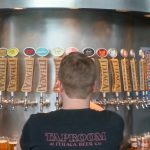 After several expansions, it now occupies a modern facility on the edge of town with a high-tech, large-volume brewery on one side and a brew pub and beer garden on the other. Flower Power IPA, their flagship, leads the list of six beers made year round. 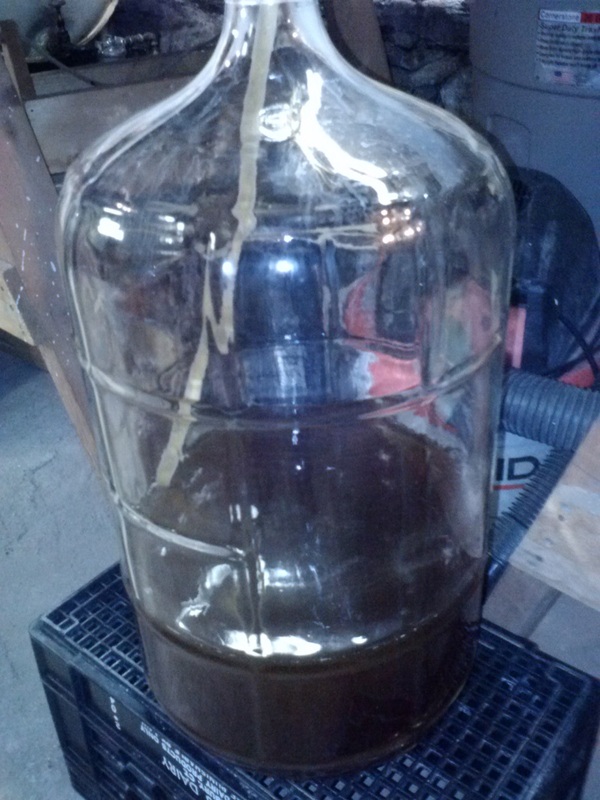 A dozen or more other brews are available seasonally or at the whim of the brewers. 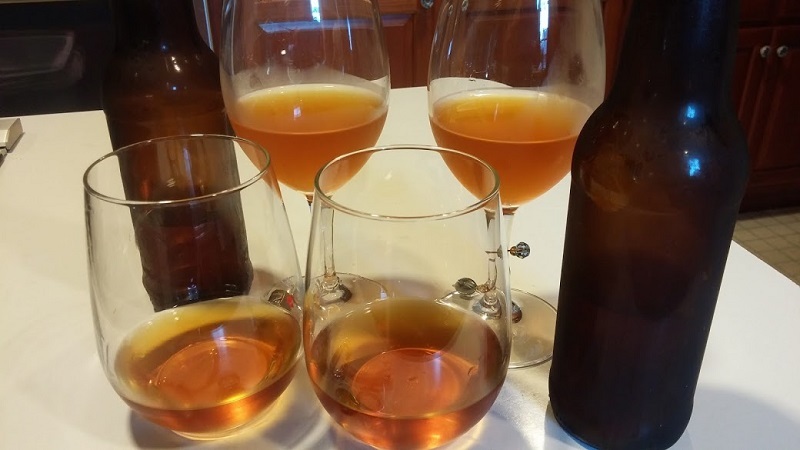 With a tasting for each couple, eight beers were lined up for our consideration, ranging in color from pale to dark. Green Trail IPA, Happy Pils Pilsner, and Midnight Sun Black Lager were the three we liked the best. Close behind them were Flower Power IPA, Cascazilla Red IPA and citrusy Hopkist. 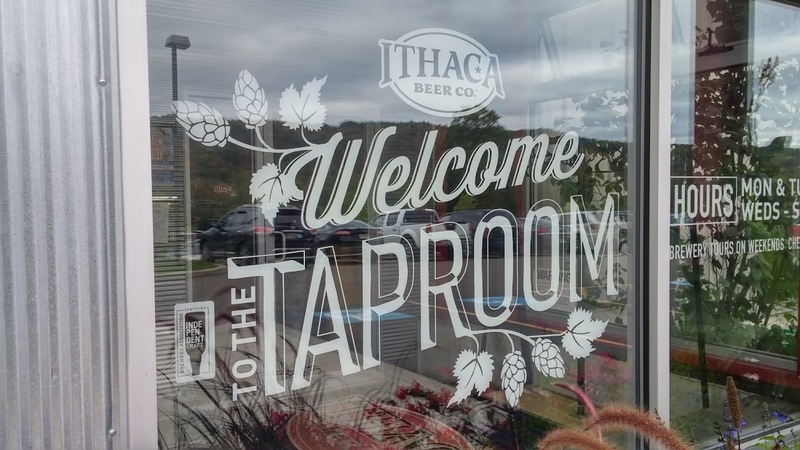 The bustling taproom serves the full line of Ithaca beers from an impressive array of taps, including some that are available only at the brewery. 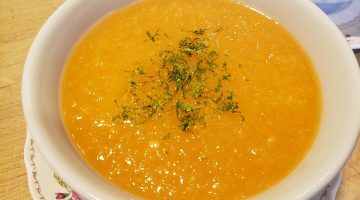 There’s a well executed menu of soups, pizzas, burgers, and snacks using local farms and sources when possible. Outside, a large beer garden overlooks rolling farmland. 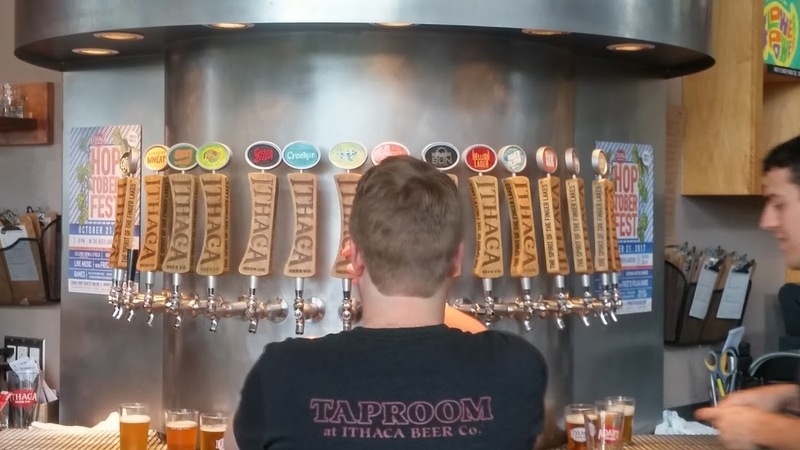 Ithaca beers are available in Connecticut. 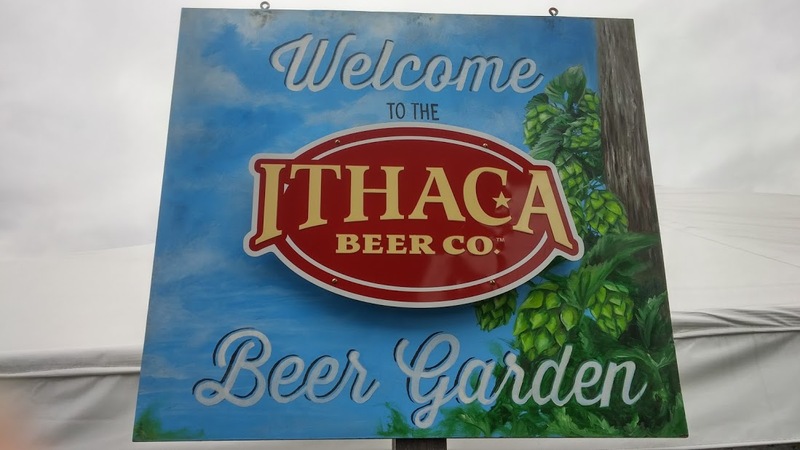 Ithaca is a scenic four hour drive away – well worth the trip. 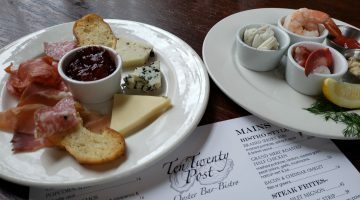 With wine, beer, and cider, spectacular scenery, and a great university town as a base it’s a close by food and beverage destination. But be sure to schedule in some nap time after tasting. I do love your articles! !